Few plants afford as many practical uses as hemp. The bark fibers may be processed to create textiles and paper. Hemp seeds also have their uses. They are utilized in the manufacture of a variety of health food products. They may be processed to create milk, which is somewhat similar to the more common soy milk. And the seeds generate an edible oil which is rich in polyunsaturated fatty acids. The resultant product from this process is then ground and milled to form protein powder. In a similar fashion to soy and the various alternative beans and legumes, hempseed provides for an excellent source of protein, given that it consists of all 21 recognized amino acids. These include the nine essential amino acids – those that the human body is incapable of producing, and therefore must fully rely on a dietary source. Nevertheless, quite unlike soy beans, hemp does not undergo any form of genetic modification. Those that regularly farm the crop say that the cultivation of hemp requires very little in the way of herbicides, pesticides, or the use of petrochemical fertilizers. Thus, hemp is among the few plants that are easy to grow using organic agricultural methods alone. And in turn, this ensures that hemp is a comparatively safe source for protein. From two tablespoons of protein powder from hemp, you gain 13-15 grams of protein. All the same, it’s not only the quantity of protein substrate that is of importance. 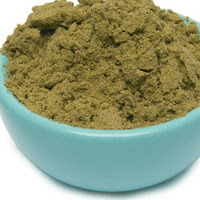 Hemp protein powder contains branched chain amino acids, or BCAAs. Specifically, these are isoleucine, leucine and valine. And, in accordance with the Food and Agriculture Organization, these BCAAs should consist of around 40 percent of our daily necessity for essential amino acids within our diet. That breaks down to around 10-30 mg of valine and isoleucine and 40 mg of leucine per kilo of body weight. But what is it that is so significant with respect to these amino acids? Together with carbohydrates, these amino acids represent the fuel that muscles rely on for energy production. And in order to serve this purpose, they undergo a more direct metabolism and there is a reduced level of process in the liver, as in comparison to various other types of proteins. It has been estimated that as much as 18 percent of energy levels that are expended during a workout arise from BCAAs. That figure can rise, depending on the intensity and the length of the exercise program. The recommendation by the FAO of a 40 percent daily requirement is based on individuals that have regular lifestyles. The utilization of protein powder is a relatively common practice for athletes, given that it aids to build muscle strength and mass. Whenever selecting a particular powder, you should take into account factors like the powder’s source as well as any additional nutrients besides protein alone. Hemp makes for a valid choice, since, as mentioned, it is taken from a safe plant source. The processing of hempseeds also permits a number of the vitamins, minerals, and the polyunsaturated fats that are located in the hull to be combined with the final product. There’s no one single “right” way to make a power shake using organic hemp protein. The total nutrients are consistent with the products added to the blender. If you prefer higher levels of vitamins and minerals, the addition of fresh fruits would make for a good alternative. After all, organic hemp protein powder is known to be a little bitter to the palate. As such, the addition of fruit can help to improve taste. If you prefer, why not go beyond the hemp-based protein shake and opt to add the powder to other dishes. It goes well with rolled oats, breakfast porridge, or blended into soups. It’s versatile enough to the point that it can be used as a partial flour substitute for baking. You can substitute as much as 30 percent flour for hemp powder in your baking. To get the best prices on organic protein powder, visit http://www.BestOrganicProteinPowder.com.